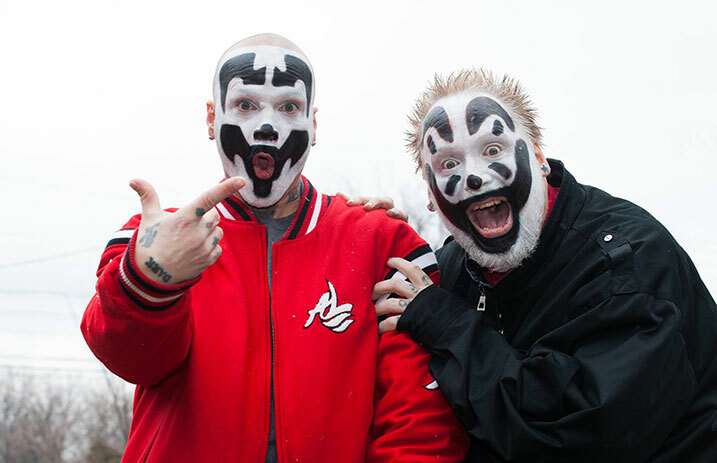 Insane Clown Posse's fans can't seem to catch a break. After being labeled a gang by the FBI, the Juggalos are now being blamed for a bar in Michigan receiving 500 Digital Millennium Copyright Act (DMCA) notices for illegal downloads. And the story gets weirder than that. During a juggalo Valentine's show (yes, that's a thing) at Mac's Bar in Lansing, Michigan, one of the attendees decided to download Three 6 Mafia's full discography while connected to the venue's Wi-Fi. As a result, the bar received 500 DMCA notices for illegal download. Insane Clown Posse are going on the Slamfest 2018 tour with Attila, Sylar and Cage. The tour kicks off March 1 in Rochester, New York, and wraps up April 1 in Detroit. Check out the full list of cities and dates below.